Cinco de Mayo is right around the corner, and the Mexican holiday is an excellent reason for restaurants to celebrate great food. Cinco de Mayo is right around the corner, and the Mexican holiday is an excellent reason for restaurants to celebrate great food, drinks and a good time with their guests. The day commemorates the Battle of Puebla, where, in 1862, a small group of Mexican soldiers led by General Ignacio Zaragoza defended themselves against an invasion by the French army. Today, Cinco de Mayo is widely celebrated in the U.S. by people of all backgrounds and pays homage to Mexican heritage and culture. This year’s Cinco de Mayo falls on a Monday, but don’t let that stop your restaurant from offering special menu items or promotions to drive guest traffic. 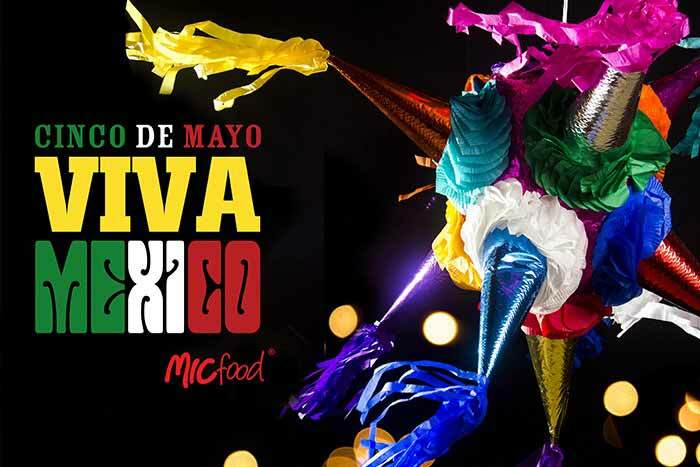 While many restaurants offer Cinco de Mayo specials, there are many unique ideas that foodservice establishments can implement to celebrate the holiday. See our suggestions below for different ways to “wow” your guests this Cinco de Mayo. From niños to abuelos, everyone can enjoy the joyous celebration that is Cinco de Mayo. Restaurants can connect generations by offering something for all ages, including kid-friendly activities. An interactive dish, like a create-your-own taco or sizzling fajitas, lets children engage in customizing dinner while spending quality time with their loved ones. Families of all backgrounds bond over shared experiences, especially those that involve a tasty meal. For inspiration, check out our recipes page! Even restaurants that don’t typically serve Mexican cuisine can get in the spirit of Cinco de Mayo by adding traditional Mexican components to their meals. Top Mexican ingredients include mole sauce, tomatoes, corn and limes. 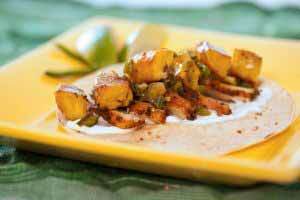 Avocados, another Mexican staple, are a popular menu item that has crossed over to other cuisines. In 2011, Americans consumed over one billion Mexican Hass avocados, and the fruit has recently appeared in menu items at Subway, Burger King and Wendy’s. Serve a dessert infused with Mexican chocolate, or offer your most popular sandwich on a tortilla instead of bread in honor of the holiday. Many people associate tequila with Cinco de Mayo. In fact, a recent study of over 1,000 restaurants indicated that tequila sales doubled above the year-long average on Cinco de Mayo in 2012, with the Margarita taking 42 percent of the cocktail share on the holiday that year. While the Margarita remains one of the most popular drinks for Cinco de Mayo, restaurants can offer a unique perspective on holiday libations by instead featuring several Mexican wines to complement your dishes. Try the Red Convertible by Vinos Pijoan, which pairs nicely with stronger grilled meats like carnitas and lamb, or the Monte Xanic Chenin Colombard with lighter fare such as pasta or fish. Viva el Vino! It’s no surprise that ethnic-inspired menu items were named the number one breakfast trend for 2014 by the National Restaurant Association. While Cinco de Mayo is typically an afternoon Happy Hour or evening dinner celebration, Mexican dishes are very popular for breakfast and brunch. If your restaurant doesn’t serve breakfast during the weekdays, consider offering a special brunch the weekend before or weekend after the holiday. Favorites like huevos rancheros and chilaquiles can be served along with boniato hash browns and fresh mango and pineapple smoothies. Decorate the table with a traditional Mexican serape to add color to the scene. A huge traffic driver for price-sensitive guests is offering menu and drink specials at a great value. With Cinco de Mayo, restaurants can play off the number five to create pricing specials for the holiday. Whether the items are priced at $5 or you offer five of a menu item for a set price, the number is easy to remember and will drive guests into your restaurants. A $5 “top shelf” Margarita is a popular choice, as is offering five of a certain menu item at a special price. Since it is the year 2014, you could also play off the number with specials like “5 burritos for $20.14.” Offering your delicious food at a special price point that is easy to remember helps guests recognize your promotion to visit on Cinco de Mayo. No matter what you choose to offer this Cinco de Mayo, remember that the good food and memories made with family and friends is what is most important to guests. Who doesn’t love a fiesta?